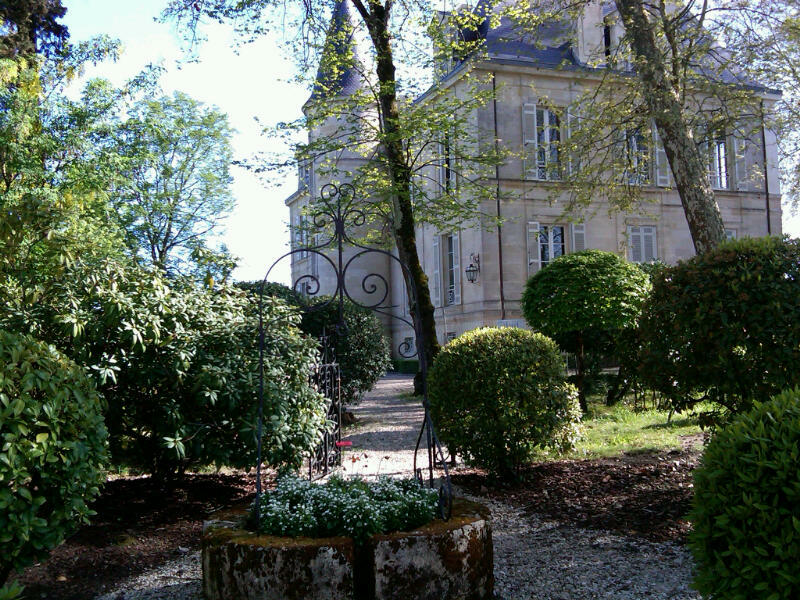 Traveling along the main road, you pass signs for all the top Bordeaux Châteaux in the Médoc. And those are the wines we began tasting this morning. Some of them were so polished and so pleasant it was easy to forget they were en primeur barrel samples. Wines that seemed almost ready to drink now included those from Château Desmirail and Malescot St. Exupéry. Developing brightly today were: Châteaux Fonréaud, Fourcas Dupré, Chasse-Spleen, Brane-Cantenac, Cantenac Brown, Dauzac, and du Tertre. The wines of Rauzan-Gassies and Rauzan-Ségla also had an interesting amount of acidity, which could indicate great ageing potential. Château Clarke and Château Poujeaux stood out for over all quality. 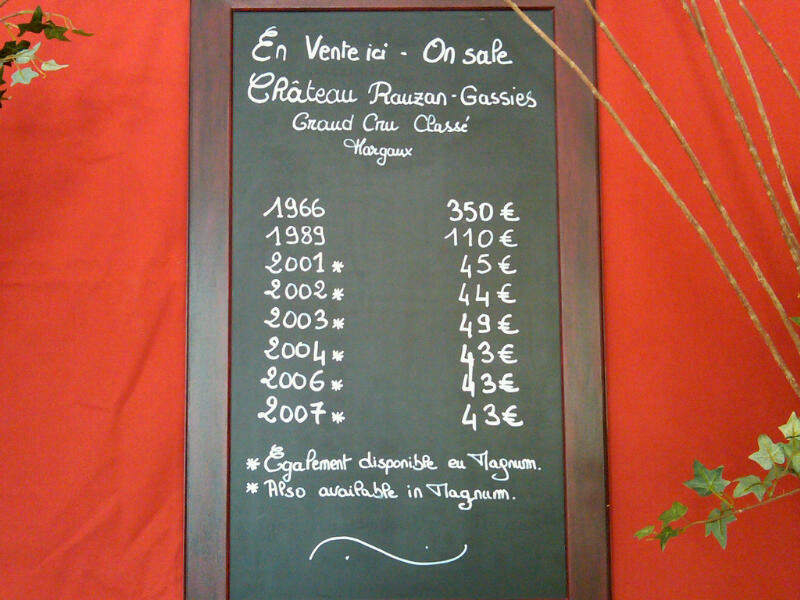 Unfortunately, the samples from nearby Châteaux Kirwan and Giscours were pretty closed. 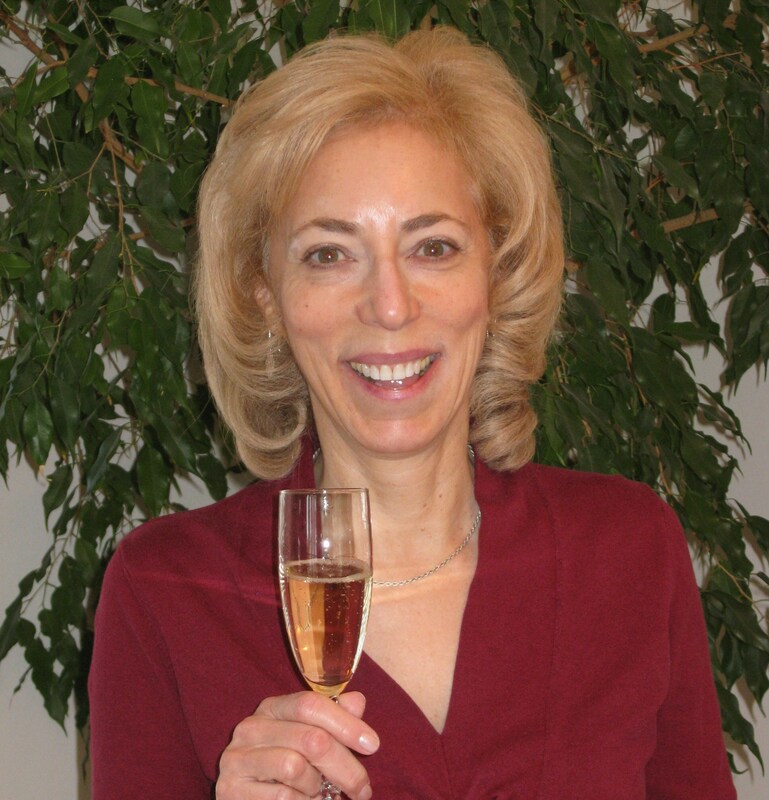 I mentioned this to Château Kirwan’s Sophie Schyler Thierry when I was at lunch with her that day. She told me this is the final blend for her wine; it’s been in barrel for 5 weeks. She could only shrug and say that it happens to be a closed period. But she also brought some of her 2008 for us to try with lunch, and it paired well with many different types of foods. That lunch was hosted by the owners of Château Rauzan-Gassies—the extremely hospitable Quié family—who had also provided the space our morning tasting. The food was good, an interesting combination of cuisines, but I’m not really a fan of the newly-fashionably heavy-appetizer meals, where trays are passed for so long that you eventually figure out these bites ARE the meal. It takes a while, and then there’s the uncertainty, not sure how much to eat, how much food is till to come. My first night in Sauternes I never did figure it out until a tray of desserts arrived, and then I had to eat five little pastries to assuage my hunger. Balance, it’s all about balance. In food as well as wine. 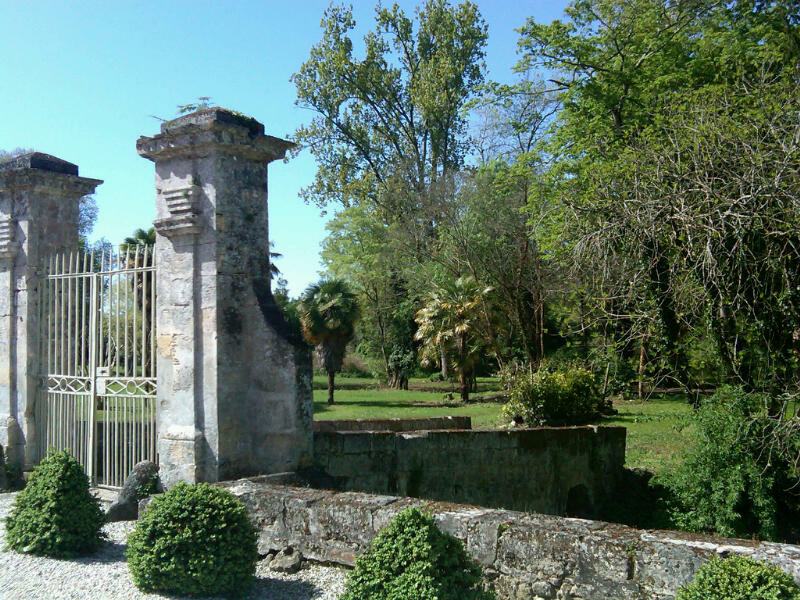 Friday morning, another summerlike day had us entering into the stone fortress of Château de Lamarque which dates from Medieval times, and is located right in the heart of the town of Lamarque. It’s still the family home of our host, Pierre-Gilles Gromand d’Evry — a hereditary nobleman, I was told, which didn’t keep him from being very welcoming and easy to talk with. We tasted in his living rooms, with power cords snaking over oriental rugs to the dozen or so white tables which held the usual wineglasses, spittoons, slices of baguettes, and bottles of still and sparkling water. Here, we were surrounded by walls of dark red-flocked wallpaper and tables displaying family photos and medals. On the other side of the main staircase there was a centuries-old chapel where mass is still said every week. The dungeons were two floors down: now holding only wine bottles—I checked. 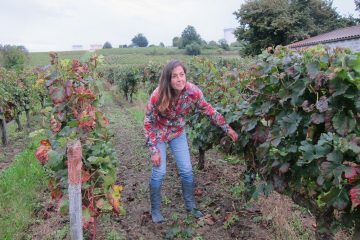 During the morning, we tasted from south to north in these upper Médoc regions, appropriate for the character of the wine, which can go from light to heavy in tannin. 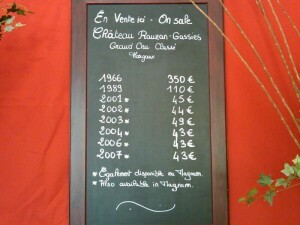 The most notable area for 2010 was Saint-Julien, with its huge proportion of excellent wines. 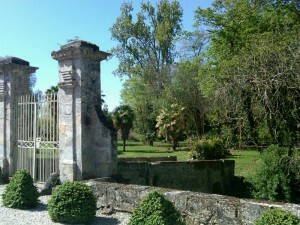 First, in Haut-Médoc, the Châteaux de Cantemerle and La Tour Canet stood out for overall quality. With plenty of fruit and nice balance, Château de Camensac seemed like it would appeal to the US market, as did Château de Lamarque. Moving on to Saint-Julien, Château Talbot was the real standout for me. Then there were more great wines from Châteaux Gruaud-Larose, Langoa-Barton, Léoville-Barton, and a few that also tasted very modern in style: Château de Beychevelle and Château Branaire Ducru. Château Gloria, not really on my radar before this, was an energetic little pleasure! 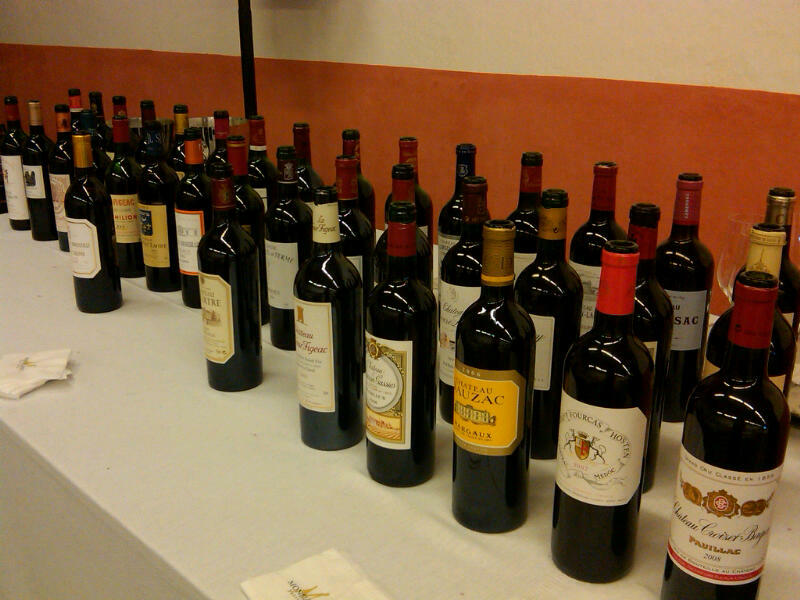 Then came the wines of Pauillac, two especially nice samples being from Châteaux Clerc-Milon and Grand-Puy-Ducasse. If you’re looking for wine made to age, Château Lynch-Bages is a big wine and Château Pichon Longueville Comtesse de Lalande is more serene. In Saint-Estèphe, the most northern part of the Médoc, Château Phélan-Ségur and Château de Pez were the best examples of this area’s wines. Château Cos Labory seemed to be in a state of mid-evolution, but very promising also. On Friday afternoon, we concluded the tastings with a lunch at Château Haut-Bages Libéral in the sunny Médoc, hosted by the Union des Grands Crus, with many of the Château owners and managers from all around Bordeaux in attendance. Each one brought a bottle or two of their wine—a current or recent vintage—reminding us about what the en primeur wines we had been tasting had the potential to become in a few years. 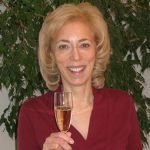 Becky Sue Epstein’s wrap-up report on the Bordeaux en primeur tastings and the 2010 vintage will be published on Palate Press later this week. I genuinely liked engaging in your website today and finding out just how critical this matter is to people. It would be so beneficial for friends of mine to check out this website and see your valuable material as nicely. Many thanks for sharing!